الموضوع في 'التصاميم و الجرافيكس' بواسطة KingSOL, بتاريخ ‏فبراير 4, 2019. و التابعين لهم بإحسان إلى يوم الدين أما بعد. 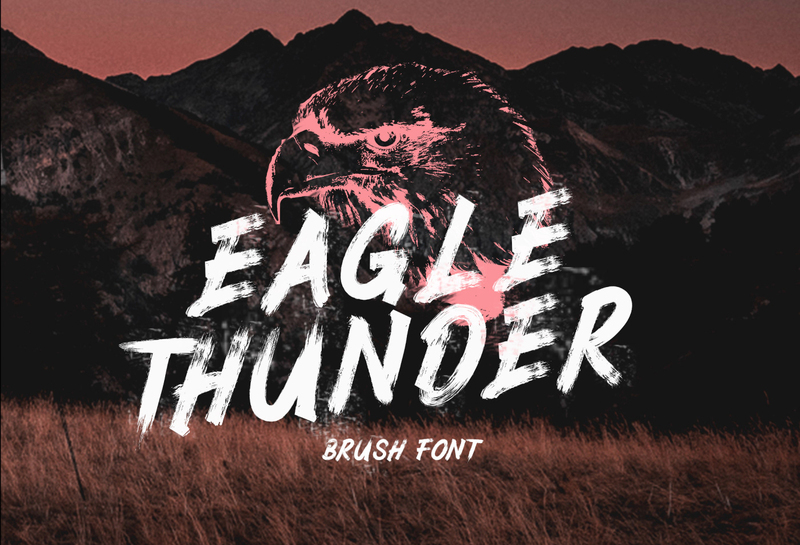 Eagle Thunder from Semar is a unique textured brush font that features natural hand drawn strokes with irregular baselines. Suitable for use in title design such as clothing, magazines, book titles, stationery designs, quotes, branding, logos, greeting cards, t-shirts, packaging designs, posters, snapbacks and more.